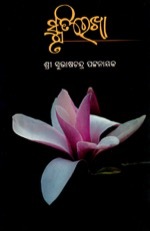 In Bhubaneswar Book Fair 2010, thousands of leaflets were distributed attacking an editorial of a rising daily by various leaders of pro-reservation activists’ groups. 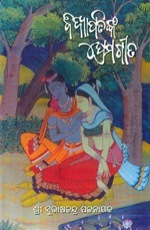 It was captioned “Khabara Sampadakanku Khola Chithi” (Open Letter to the Editor of Khabara). Every visitor to the Book Fair was being force-loaded with the leaflet. The newspaper tried to pacify the group by posting a front-page explanation. It was remarkable that no newspaper or media person stood with Khabara when the leaflet was a direct affront to Freedom of Press. It was a comment on emergence of reservation as a Fundamental Right. The leader-writer had penned his line of interpretation on Constitutional provision vis-à-vis administrative action in the matter of caste-based reservation for official posts. The leaflet in question was an act of intimidation resorted to by the pro-reservationists against the Editor for having published this editorial. This is a serious syndrome. Vested interest individuals have at different times attacked Journalists in Orissa by using the goons and police. This time, a newspaper is attacked by a combine of groups of social activists who, for the first time in Orissa, have used printed leaflets as their weapon! But surprisingly Orissa’s Press is silent! Press is the last hope for people in a democracy. If the other three pillars deviate from duty, Press focuses on them and educates the people as to how to bring them back to the correct track. If they collapse, Press takes over the responsibility to resurrect them. Hence it is the fourth i.e. the last pillar of democracy. It is the principal political teacher of the people. No democracy can survive unless people are appropriately informed. Press spots, selects and edits information so that when delivered, that educates the citizens as to how purposefully and effectively must they participate in democracy. In the matter of reservation, Press has failed to play its role as political teacher. Therefore when Khabara was attacked for questioning as to how far reservation should go, Press in Orissa, as a whole, kept quite. This is unfortunate. It is time politics of reservation must be properly understood. This politics is based on two types of conspiracies: one is international and the other is national. But both the types are prepared and perpetrated by a single type of people: the rich. Imperialists are the international conspirators, to whom a strong India is an obstacle to their intended control over the world. This is why US of America had masterminded the Baghdad Pact in 1950s providing Pakistan with the encouragement and strength to build up terror against India. US official archives are proudly preserving the records of all such nasty tricks it had contrived. 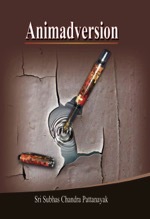 And some of these tricks are discussed in these pages earlier. How had they pressed their espionage packs against India and planted their lobbyists and agents in this soil to tame this country to their commands is too vast a matter to fit into this essay. But from what Republican Senator Richard Lugar, considered one of the most cerebral lawmakers US has had, had elaborated over nuke deal with India while addressing the US National Defense University on October 17, 2009, one can have an idea about USA motive. Vexed deeply over independent India sticking to her pre-independence role against imperialism, USA had used all possible nefarious means to keep her curbed. And therefore, from 1950s, the USA was systematically and continuously contriving means and methods to curb India’s rising as a global leader and was using nasty means to keep it weakened so that she could be forced to cooperate. Indian Parliament has many a recorded instance of being engaged in debates over activities of CIA in India and of the yes-men of America in top layer of Indian politics. Pack of countries in pact with America has acted against India in international sphere. In internal sphere, American supporters have tried to disunite Indians by provoking them into internecine tussles. Job reservation on caste line is one of the methods they have contrived to use in this direction. Reservation makes a two-prong assault on India: one is physical and the other is psychological. It physically infests administration with deficient hands. Were there no scheme of handing over official positions to deficient hands in order to weaken India, there would never have begun reservation. Beneficiaries of reservation have never volunteered to come out of the reserved category even after their rise into the “creamy layer” and it would be contrary to reality not to admit that most of them are equal with or more than those in unreserved categories in ingenuity in corrupting India. Psychologically, reservation has distanced Indians from Indians. It can never be forgotten that thousands of young educated Indians had committed suicide after imposition of Mandal Commission recommendations by the Central Government led by V.P.Singh. The deplorable deterioration was so wild that Singh had no other way than resigning. The psychological distance hinted to above was at the root of this suicide spree, which came to a halt only after Singh vacated the Prime Minister chair. Why V.P.Singh promulgated the Mandal formula? Singh was the Finance Minister under Rajiv Gandhi. Before becoming the Prime Minister, Rajiv was a protégé of USA to whom socialism was anathema to development. But after taking over the responsibilities, the deeper he went into realities by virtue of being privy to secret files, the more he developed animosity towards America. And, thereby he had endangered himself as was soon to be seen in the aborted attempt to murder him in Srilanka. How he was finally exterminated after USA was hit by his sharp opposition to replenish with fuel her war aircrafts in Indian soil against a member of NAM led by India and how thereafter blind allies of America hijacked the mass support he had cultivated for his party after absorbing the VP venom spewed through Bofors scandal and how the said allies eventually butchered the constitutional resolution of India for socialism at the alter of WTO by subscribing to GATT at the behest of America behind the back of Indian Parliament and how through these allies USA has obtained a “bonanza” for her nuclear traders at the cost of supremacy of Indian parliament, are matters for future researchers to unveil in details. But at the moment it is relevant to note that V.P.Singh who was the person that had forced Rajiv to quit when Americans had started feeling his animosity towards their design, was used to ignite internecine intolerance amongst Indians by promulgating the Mandal Commission formula on reservation. To understand the motive behind promulgation of Mandal formula, one is to look at its timing. The shock-wave that VP, then the finance minister, had subjected India to, by hurling Bofors kickback allegations against his own Prime Minister, had not only forced Rajiv Gandhi to quit, but also had wiped out the possibility of Congress to obtain a fresh mandate. VP had emerged as the hero of the hour and the rudderless followers of Jaya Prakash Narayan had found in him their messiah and the communists, specifically the Communist Party of India, had found him the fittest politician to have a coalition with. Thus with him as the leader, a Janata Dal and CPI coalition had emerged as alternative to Congress. Congress faced the debacle; but the coalition did not really gain. The bourgeoisie that were till then in or with the Congress found VP’s Janata Dal unacceptable because of its coalition with the Communists and hence they, eager to go against Rajiv as well as to curb spread of communist strength, switched over their allegiance to BJP. The result was, when the two Communist parties remained restricted to 44 seats in the Loksabha, BJP, which had only two MPs, gained 88 seats registering a 44 fold rise! V.P.Singh depended on their support that they extended from outside. This surprise but phenomenal rise of BJP was not instantly acceptable to American imperialism; because, when US was eager to exploit India for its own economic empire, India’s indigenous traders and capitalists had their sentinel in BJP. If spread of BJP influence was not obstructed it was not possible for USA to clamp its hegemony on India, it was clear. But it was not possible to obstruct BJP influence by any direct action. Hence indirect action was contemplated. It was known that BJP was dependent on Hindu unity. Therefore obliteration of Hindu unity was considered essential. 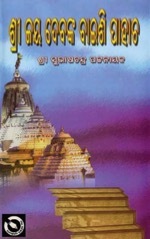 Hindu unity is a unity of different castes that comprise autonomous social forces and act complimentary to each other in social life even though it had the sordid history of exploitation of the lower caste people by members of higher castes. Therefore, it is also a fact that the system of caste bears the inflammability, which can burn down Hindu unity if purposefully ignited. From this, the idea that caste-passion inflamed, Hindu unity could be shattered and BJP aspiration for power would perish must have struck the American intelligence sleuths and their Indian acolytes. This was the calculation that culminated in promulgation of Mandal Commission formula of reservation by V.P.Singh. And, as we have seen, that promulgation burnt down Hindu unity so savagely that not only brilliant youngsters of unreserved category committed suicide in thousands, but also the Hindu society being acrimoniously divided due to caste conflicts, BJP, dominated basically by upper caste Hindus, lost for ever the possibility of acquiring absolute majority in ramparts of Indian democracy on the basis of Hindu unity. Were there no promulgation of Mandal formula, BJP’s independent rise to power could never have been put to a checkmate. The Mandal mischief having done its desired damage, as we have seen, VP relinquished office; but American hegemony, since then in rise, has kept India so much subdued that we are no more able to retrieve the lost spirit of our independence from foreign yoke, our own Government every moment force-feeding us with the opium called globalization at the behest of America. This is the international component of the politics of reservation. This politics has weakened India to the advantage of foreigners and that India, which we had got on August 15, 1947, has gone away from us. The national rich is in power in India; yet it is playing the politics of reservation. There is a secret motive behind it. And, that motive is to hoodwink the massive majority of India, the wretchedly poor, under the ploy of welfare. The Constitution of India was created by the rich for the benefit of the rich, for which the absolute absence of representation of the poor in the Constituent Assembly had given them the advantage. Nehru had ensured this advantage to the rich by banning the Communist Party of India after taking over as Prime Minister in the interim Government. It was a shrewd instrument created by the rich, present in overwhelming majority in the Constituent Assembly, for their own benefit. Motive of the rich to keep independent India under their grip from the beginning was so very clear that even in 1947 legendary freedom fighter Jayaprakash Narayan had to write, “The Indian constitution is not likely to be, unless drastically amended, an instrument of full political and social democracy”(Draft constitution of Indian Republic: Socialist Party:p.5). Unambiguously the unscrupulous rich class of India was derailing the purpose of Indian independence by steering away the Constitution making from social and economic emancipation of the toiling masses. Unable to digest the deceiving design of the propertied class present in massive majority in the Assembly, K.T.Shah had termed it as a mere political instrument to grab political power by advantaged politicians and nothing else. He had said, “The constitution’s aim, as explained by Dr. Ambedkar, or, as can be derived from the working of the constitution itself, is almost entirely political and not at all social or economic” (Constituent Assembly Debates, Vol. VII, p.345). When according to Dr. Rajendra Prasad such “defects” were “inherent in the situation in the country”, Dr. Ambedkar had to rue over the “contradiction” that the Constitution was pregnant with. He said, “On 26th January 1950, we are going to enter into a life of contradiction. In politics, we will have equality and in social and economic rights we will have inequality. In politics we will be recognizing the principle of one man one vote, one value. In our social and economic rights, we shall, by reason of our social and economic structure, continue to deny one man one value” (Constituent Assembly Debates, Vol. XI, p.979). So it is clear that by keeping the Communist Party of India debarred from playing its legitimate role in Constitution making, the rich class of India had from the beginning tried to obstruct social and economic emancipation of our people and the Constitution they created was so vitiated with this evil design that Dr. Ambedkar had to admit that Indian Republic going to be created on the basis of that Constitution was bound to be a Country of contradiction. Dr. Ambedkar had warned that if the contradiction is not removed “at the earliest possible moment”, then there should be no doubt that “those who suffer from inequality will blow up the structure of political democracy which this Assembly has so laboriously built up” (Ibid). And this exactly has started to happen. The people who are suffering from social and economic inequality are ever more strongly challenging the political democracy as otherwise their emancipation would never come. This is why Naxals or Maoists are rising in numbers and just as the colonialist British was prosecuting our freedom fighters, deporting them or destroying them, jailing them or killing them in gallows or in encounters, the agents of plutocracy in power are unleashing state terrorism on them. The rich class knows that the people of India who had been able to thrash away the British in such a style that the entire British empire spread over the world not only eventually collapsed, but also colonialism in the world crumbled down to obliteration. So the rich class has created a shock absorber in form of reservation. Many brilliant minds are misled to believe that reservation is a medium of social and economic emancipation. But it is not. It cannot be. Because; reservation cannot remove inequality. Reservation, in fact, is a legal form of continuance of social and economic inequalities. It is a method of perpetuating caste apartheid and to inject the opium effect of hope into the psyche of the economically wretched for emancipation through caste assertions. This assertion is so blind that people, in even the lowest economic strata – Harijans and Adivasis – are often engaged in internecine rivalry in their respective segments over reservation. Courts are flooded with cases between them. There shall be no end to this as long as reservation continues. Remedy of the malady that the leaflet-campaigners against Khabara aimed at never lies in reservation; but lies in removal of the contradiction that our Constitution is crippled with from the womb of the constituent Assembly. Emancipation lies in imposition of ban on accumulation of unlimited property by any Indian. There are starvation deaths all over the country because there are a few houses full of limitless lavishness. There are mothers thriving on baby selling because there is a class of amassers of wealth that obstructs people’s wellbeing. There is unrelenting price-rise because there is no leash to put on profiteers’ unlimited avarice. There are bonded labors because the State acts as collaborators of propertied exploiters. There is all-pervasive corruption because there is no shilling on wealth acquisition. There is disorder because looters of public money are not being readily subjected to confiscation of their coffers. There is armed revolution that the Government defines as Naxalisation because there are pampered houses that enjoy State patronization in property usurpation. Yet there is lack of adequate participation in collective endeavor for emancipation because there is the tactfully created trap of job reservation. The intimidators of Kabara ought to understand this. Instead of trying to perpetuate reservation, it is better for the activists to rise up for removal of protection given to the rich in Indian laws in accumulating limitless personal property so that the impediments on the way to development of all could be fruitfully removed. Imposition of shilling on private property would liberate our economy from the looters and the excess money to be recovered from their hold should open up a new phase of welfare where, for leading a fair life and for that to earn a fair livelihood, no Indian would suffer the ignominy of depending on job reservation. Hence, how long reservation should be the point of cogitation. Orissa Unit of Red Cross had its District Secretaries Meet for three days from 19th to 21st February 2010 at its headquarters at Bhuabneswar where the Secretaries from the Branches made brief presentation of district level activities. Inaugurating the Conference Sri.S.B.Mishra, former Chief Secretary and active member of the Orissa State Branch Red Cross Executive Committee praised the initiatives of the District Branches and gave a clarion call to all the participants to focus on the core issues, such as voluntary blood collection, disaster management, increase in membership, resource mobilization and health care services. He said that the district branches, in order to play their pivotal role in fulfillment of the objective of Red Cross, should take up more social issues like care for the physically challenged persons who are in a state of increase in the rural areas, modernization of the Blood Storage so as to reduce the wastage of blood collected. 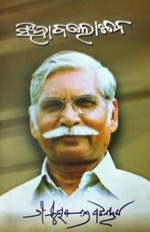 When he appreciated Honorary Secretary Dr.M.P Mohanty ‘s contributions to expanded activities of Red Cross in Orissa State, Dr.Mohanty, appreciated the role of the District Branches and said that the as a humanitarian organization Red Cross could take up more social service activities in the districts. Focusing on how the need of the Thalassemia patients should be met with priority, he also said that unless we modernize the blood storage mechanism, it would be difficult to cater to the need of the people, particularly of this category. He also informed about the steps being initiated by the Orissa Govt. for removing the service charges for the patients availing blood as informed by the Minister for Health & Family Welfare, Orissa. There were interactive sessions during the conference on the well functioning of district branches, principles of Red Cross, the genesis of International Committee of Red Cross & International Federation of Red Cross, disaster management practices, Youth Red Cross, Junior Red Cross and the activities of the Family Counseling Centre at the State branch. Mrs.Rekha Lohani, DCP, Commissionerate police of Bhubaneswar made a presentation on the activities of the regional branch operating under the aegis of the Commissionerate police. The initiatives varied from supporting the victims suffering from different accidents, poor people suffering from serious ailments, books for poor students, orphanages, shelter for women, School for the physically challenged and also endeavors for opening medicine banks. 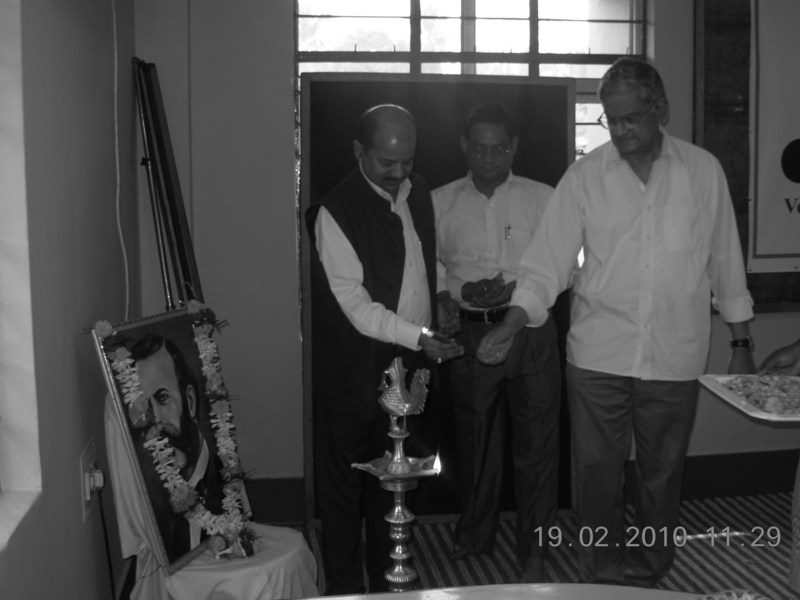 Sri.Samar Pattnaik, Reader BJB College and former Youth Red Cross Officer highlighted the starting of the Youth Red Cross branch in Orissa which came in to existence as a separate entity in the year 1994. He said that 400 Red Ribbon Clubs have been formed by the Youth Red Cross which has led the awareness campaign among the youth on the need of prevention from HIV/AIDS. Speaking on the planning and budgetary preparation of the District Red Cross Branches Sri.B.K.Sahoo, an active Executive Committee member said that the districts need to do planning in advance and make resource allocation so that the activities take place in time. Stressing on transparency, Sri Sahoo said that every district should identify the areas that need to be strengthened and gave thrust on preparation of annual action plan accordingly dividing the same into budget for the activities and monthly action plans with monitoring mechanism to ascertain by end of every month as to which of the activities remained incomplete. Secretaries from 17 Districts participated in the conference and made presentation of the ongoing Red Cross activities and shared their planned activities for the next financial year. On the 3rd day of the convention, the Secretaries visited one of the Cyclone Shelters constructed by Red Cross and managed by the community in Tentulia village of Puri District. In the village the Secretaries had very open discussion with the community regarding the management of the shelter and the community expressed its confidence in the management in collaboration with Orissa State Branch. Orissa Information Commission was scanned in a recent conference of RTI activists at Bhubaneswar, where a resolution was passed calling upon the Governor of the State to ensure a time-bound schedule for enquiry and action in respect of every complaint over acts of omission and commission of the Commissioners under Section 17 of RTI Act. The participants have even decided to stage a ‘Sit-in Demonstration’ (Dharana) in front of the Governor’s House demanding action on the complaints already lodged against the Information Commissioners of Orissa. Presided over by Karunakar Pattanayak, a retired IAS officer, the conference held in the Red Cross Bhawan auditorium on February23 was attended to by a hundred of activists, senior citizens and complainants who expressed how severely they are injured by deliberate delay at the level of the Commissioners. On an average, most of them alleged, the disposal of a case by the Commission takes 2 to 3 years, rendering the crux of the issue irrelevant. Mr. Madan Chandra Mishra a Complainant citing his Complaint Case No. 481/2006 said that it was heard as many as 12 times spanning 3 years. And in the end, neither he got the complete information nor was the defaulter PIO penalized by the Commission. Another complainant Mr.N.A.Shah Ansari, who is also an eminent RTI Activist, referring to his Complaint Case No. 967/ 2007 elaborately described his sorrowful experience as to how the Commission, without imposing any penalty on the defaulter PIO of Dept. of Youth Affairs and Sports, exonerated him in the name of Natural Justice. Mr.Harishankar Panigrahi from Sambalpur describing his experience of hearings held in the Commission’s office. He said that on one occasion he was not allowed to speak when, on the contrary, Mr. Jagadanand, SIC threatened him to put him behind the bars. He further divulged that he has filed 11 complaint cases in the Commission, most of which related to life and liberty. 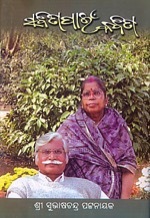 The Commission without hearing his case remanded it to the 1st Appellate Authority, ADM of Sambalpur. The Ist Appellate Authority disposed of the case without ordering the supply of any information. Then the Commission abruptly dismissed the case in endorsing the decision of the 1st Appellate Authority and without imposing any penalty against the defaulting PIO. Gopabandhu Chhatria and Kedar Nanda of Bolangir, Rabindra Das of Puri and Kedar Nath Sahoo of Boudh presented their testimonies as to how they were harassed by the Commission and how the Commission exonerated the concerned PIOs from penalty in their respective cases. They also demanded immediate enquiry into such kind of partisan behavior of Orissa Commissioners against the complainants and appellants, which favoured the guilty PIOs and shielded the conniving Appellate Officers. To Lalit Mishra, when Orissa Information Commissioners themselves don’t disclose their property list, it is simply ridiculous on their part to ask the Govt. to disclose the property list of IAS officers in the state. The conference was organized by Right to Food Campaign, Orissa, NAMASKAR Forum and Orissa State Vigilance Council, Cuttack. Initiating the proceedings, Pradip Pradhan, Convener, Right to Food Campaign, Orissa, made a data-based presentation about how inefficiency and misfeasance on the part of the Commission has ruined the spirit of the RTI Act in Orissa. Referring to the dismal rate of disposal by both the Commissioners, Pradhan said, in the year 2008 State Chief Information Commissioner disposed only 42 cases per month while Mr. Jagadanand, State Information Commissioner only 36 cases per month. But their counterpart in Central Information Commission Mr. Shailesh Gandhi was found to have disposed of as many as 267 cases and Mr. Babu Rao Burge, Maharastra Information Commissioner 386 cases per month during the said year. 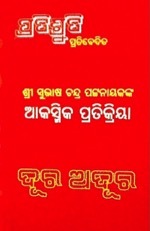 It is distressing to know that the Commissioners of Orissa who enjoyed more or less the same status, salary and privileges as entitled to the rest of the Commissioners across the country, have fared so low leading to generation of a massive backlog of more than 5000 cases in the Commission’s office. Whether the State Information Commissioners are above answerability is the question that kept participants agitated throughout. Now it is time for the Government and the Governor to act. The Media Unity for Freedom of Press, (MUFP) in a statement issued by its Presidium at Bhubaneswar, has strongly condemned the physical assault on Sri Abhay Pati, Reporter of OTV, by the Manager of Cuttack Urban Co-operative Bank, Jajpur, Sri Gour Prasad Das, when he was covering Vigilance raid on Banker’s house on 20th February, 2010. Noting that tainted functionaries in different sectors in increasing numbers are attacking journalists on duty, the MUFP has told the Orissa government that lack of criminal action against such miscreants is the reason of increasing assault on Press. “We call upon the Police to initiate action on this specific instance of use of physical force to intimidate the OTV reporter by the exposed Bank manager in presence of vigilance sleuths”, the presidium has stated, while emphasizing that the Vigilance Police should reflect the crime of intimidation resorted to by the raided Bank Manager in their charge sheet against him. The MUFP has also urged upon the authorities of the concerned Bank to take immediate exemplary action against the erring manager so that in future none of the employees would dare to manhandle any journalist on duty. Orissa doctors in peripheral health service cadre are in deep anguish as the Health Minister is suspected to have encouraged a syndicate of bureaucrats of his department hailing from his part of the State to act as deciders of their fate when transfer on promotion is set to hit the majority. Ad hocism in administration has given birth to a government resolution to recruit doctors straight in the class-one-junior rank, to reach which level the doctors earlier were serving for at least two decades. So, all the doctors, who were earlier in Junior Class-I, are promoted to senior class-I rank. The scenario has given a jerk to senior doctors and an opportunity to shrewd bureaucrats to catch fish from the mud of anxiety of the doctors to bag comfortable postings. Transfer and posting in health department is a syndrome that often looks like scams. It is open knowledge that there are doctors who cultivate their posting to lucrative positions or continuance in the capital city for decades when true-to-the profession-persons are shunted out into remote locations to perish for their honesty. With such experience, when the doctors on promotion to senior class-I rank are in natural anxiety about their postings, two bureaucrats, one, an Additional Secretary and the other, an assistant in the health department are marked to have given the impression to aspirants that they are the persons that enjoy the confidence of the minister in preparing and finalizing the transfer list. These two belong to the western part of Orissa from where the Minister comes and are conspicuous by their absence on their respective desks as even the attendants say that they are closeted with the minister in finalization of the transfer list. One of these two belongs to Sonepur when the other hails from Bargarh. The nexus seems unholy, because a minister is not normally expected to pick up persons only of his locality as dependable ones. The CM may take note of it and collect intelligence on whether or not such a regional combine is playing the tricks. 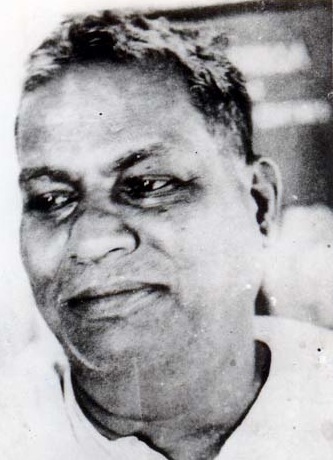 Gouranga Charan Das, eminent freedom fighter, was born in Bagalpur, the village of Karana aristocracy in the district of Cuttack in Orissa on 26 January 1899. He was physically handicapped by birth with his right hand critically crippled. But in early youth he joined the freedom movement and soon led the people whose sacrifice made India a Sovereign Republic on his 50th birth anniversary. Imprisoned for more than five years by the British authorities he had started his first journey to jails on 13 April 1930 by leading the salt movement at Inchudi, a movement that was meant to make people of India self-dependant. He was the man who made history by changing aristocrat Karans of his village to allow Harijans into the famous Dadhibamana temple. A legendary Gandhian, he was simple in nature but strong in decisions. He was deeply involved with Charakha movement but one of the stalwart organizers of Congress socialist party. 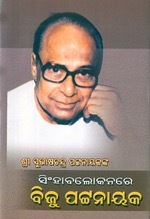 He had been elected uncontested to Orissa Assembly in 1945 and was chairman of Cuttack district Board from 1961 to 1967. He breathed his last on 19 February 1972. But despite holding positions of power, he was without any money in his possession as always. Gouranga Charan Das, who fought for India’s freedom from colonialism is today ever more relevant in people’s struggles against Free Market Capitalism imposed upon them by the ruling political combines.